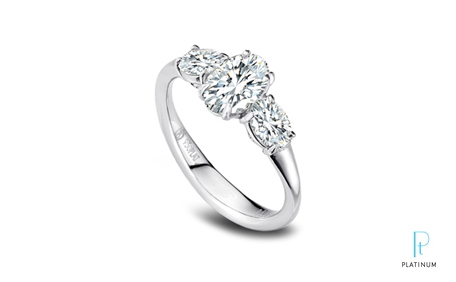 A diamond engagement ring is probably the most important piece of jewelry a woman will wear. Dressing up this symbol of love is something that speaks to the newly engaged and the long-time married alike. Adding diamonds as side stones is a wonderful way to give an engagement ring more pizazz – and personalize it with the spirit of your love. There are a number of factors to consider, so we’d like to make it a bit easier for you. Platinum silk semi-mount with 6 rounds equaling 0.80 cttw, center 1.50CT. Courtesy of Platinum Guild International. 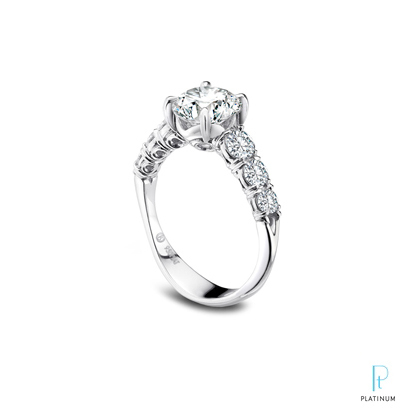 A jewelry designer or a jeweler who has expertise in design will help you consider the style and practicality of adding side stones that complement the center stone and the design of your ring. Different designers will have a different aesthetic or viewpoint, so you may want to talk with more than one designer to get a few options to choose from. Experienced designers can help guide your choices. Let’s say your diamond received the color grade of “F”. You could purchase side stones that are within a color grade or two of the center stone to create a consistent pleasing look. 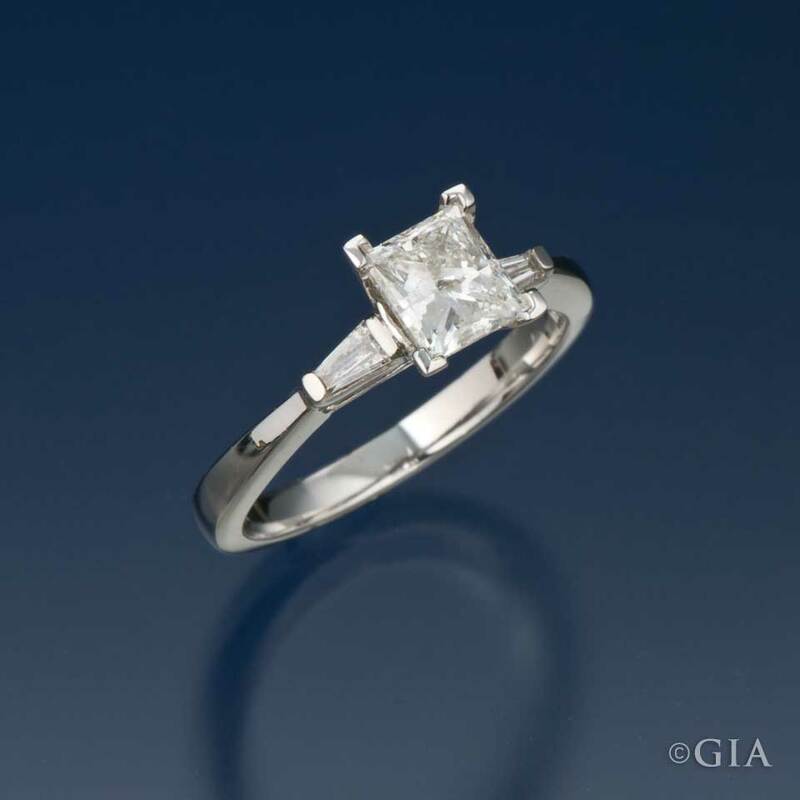 If you choose this option, be sure the diamonds’ cut and clarity also matches or complements your center diamond. 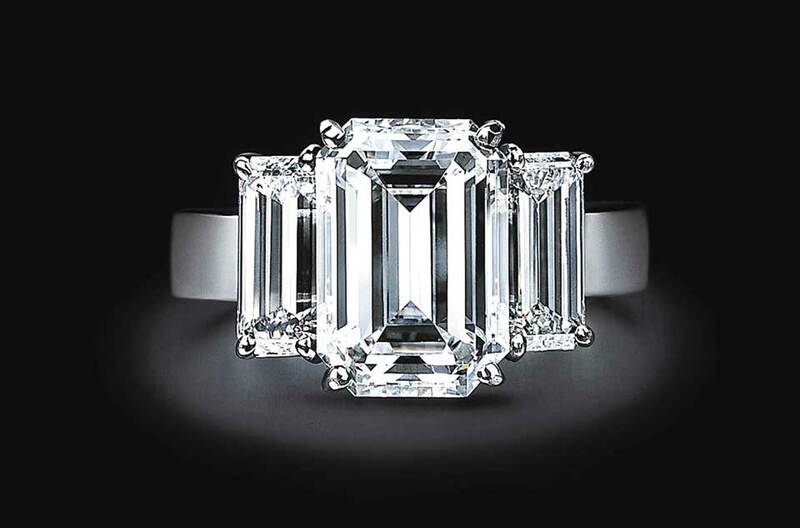 Take into account the size of the wearer’s hand and the size of the center stone. The side stones should not be too large or too small in comparison to the center stone. You also don’t want the side stones to be hidden by the fingers on either side of the ring finger. You can create contrast by purchasing colored diamonds for side stones. 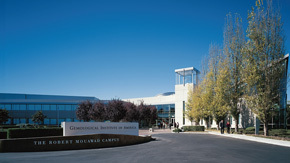 This would help make the center stone really stand out. Metals of different colors can help accentuate and create contrast between the center stone and side stones. 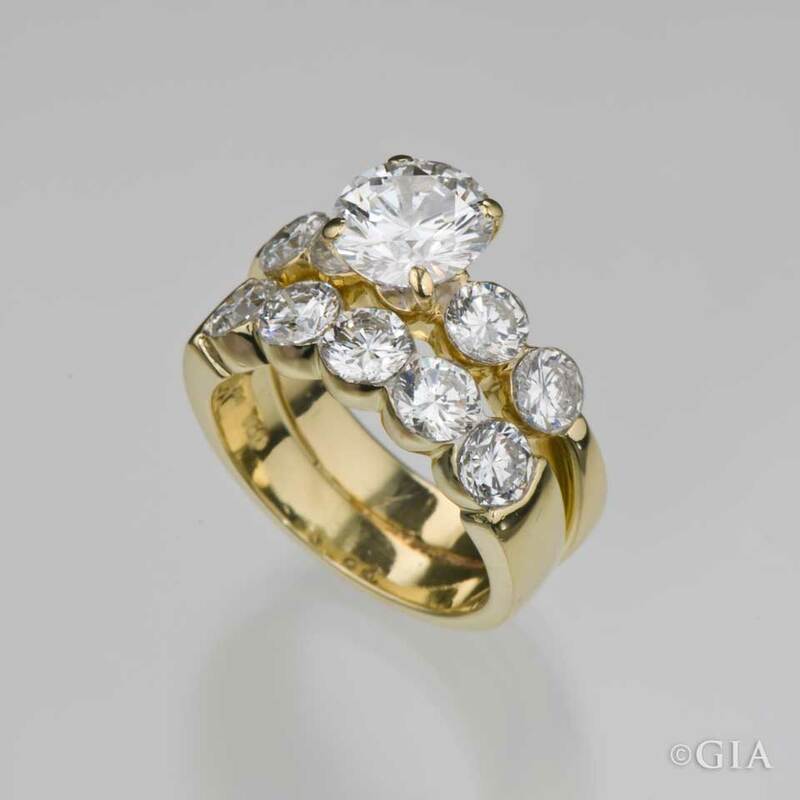 Yellow gold or rose gold can be used to compliment white gold or platinum. Yellow gold and rose gold can also be used together for a modern look. 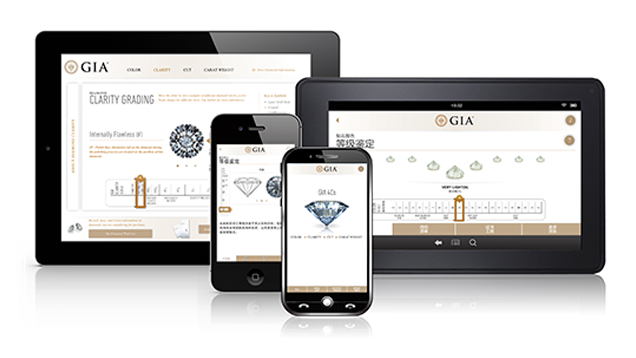 As you shop for and select your side stones, be sure to ask for a GIA Diamond Grading Report or Diamond Dossier, so that you have an unbiased verification of your diamond’s 4Cs – color, clarity, cut, and carat weight – the factors you’ll need to consider in your decision. For colored diamonds, ask for a GIA Colored Diamond Grading Report or Colored Diamond Identification and Origin Report (CDIOR). Choosing to have diamond side stones for your engagement ring is a once-in-a-lifetime experience. Start by finding a jewelry designer or jeweler you trust. Use your imagination, along with the tips we’ve provided, and enjoy the creative process. Here are a few more diamond rings with side stones to admire and inspire. Enjoy! Have an unlimited budget? Put small diamonds around your side stones and center stone. It will also make the diamonds they are surrounding look larger. 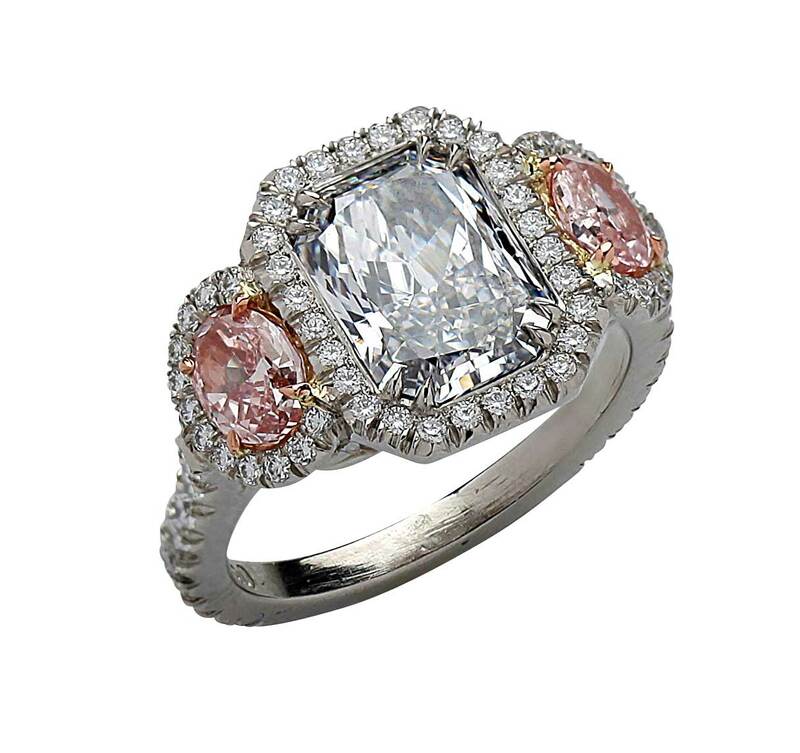 The center stone is a 2.76 ct Fancy Light blue diamond with two oval pink diamond side stones accented with round brilliant colorless diamonds. 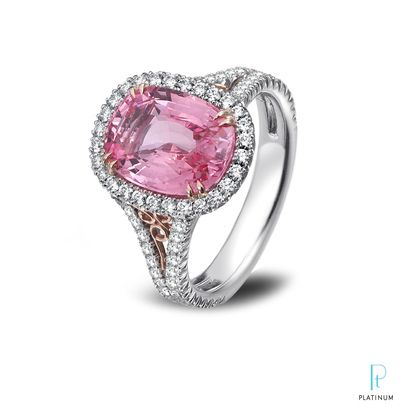 The contrast of colors makes this ring quite striking. Selecting the side stones for this ring had to be challenging, as they had to have the same clarity and color as the center stone. Even a tiny feather in the side stone would have marred the pristine appearance. The final result is a ring that is absolutely regal. Sometimes two side stones on either side of the center stone can be better than one. The design of the engagement ring echoes the wedding band.